Two of our social media savvy graduate assistants, Nicole Stephens and Kaitlin Kent, participated in a social media safety panel earlier this month, fielding questions from freshman living in the Hill Residential community here on campus. Discussion topics included the importance of having a LinkedIn profile for professional networking and maintaining a safe presence on social media platforms like Facebook and Twitter. They even offered some social media dating advice. 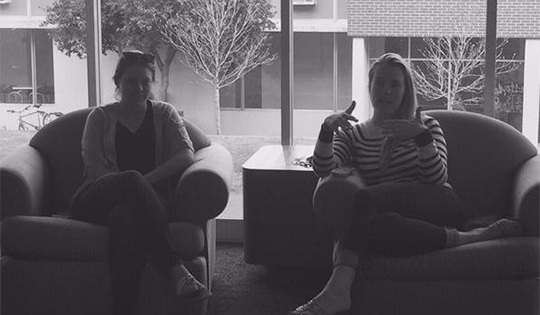 Thanks to NMI student Rebecca Wright for inviting us to share our words of wisdom with the dorms!